I’ve had writer’s block lately. Rather than forcing the words, I’ve been a little quiet the last few weeks. But I’m showing up today, writing this, because I think as a writer, sometimes, we have to sit down and tell whatever story is happening, even if it isn’t glittery or poetic or particularly that interesting. At least it’s real, and at least it’s true. And at least we’re writing. So, I suppose that’s where I am these days. Carrying around ideas and hopes, prayers and plans, fixing my eyes on Him and trying not to rush through these quiet Advent days. I’d love to hear where you are, what you’re doing, and what you’re learning. 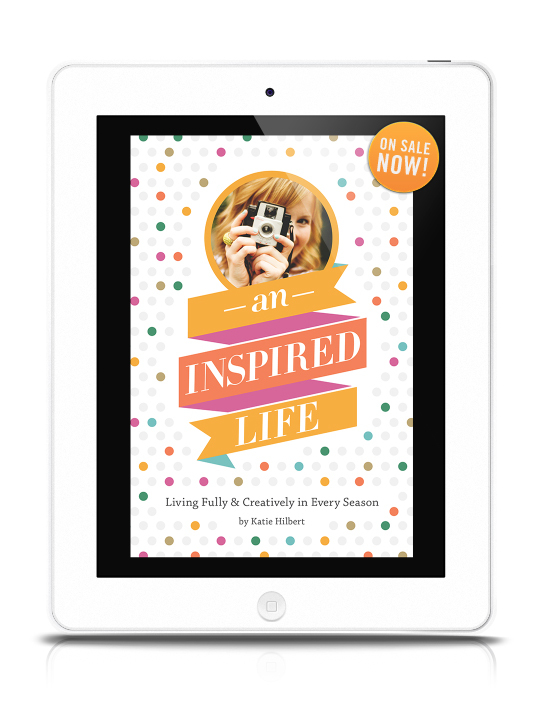 Last week, I discovered Hilary Rushford’s inspiring online space, Dean Street Society. She’s definitely a kindred spirit (who rocks a lot of polka dots, believes in bowties, wit, and whimsy, and is passionate about making space for God to move)! I also fell in love with her blog post sign-off with grace and gumption. What a beautiful way to approach each and every day, yes?? 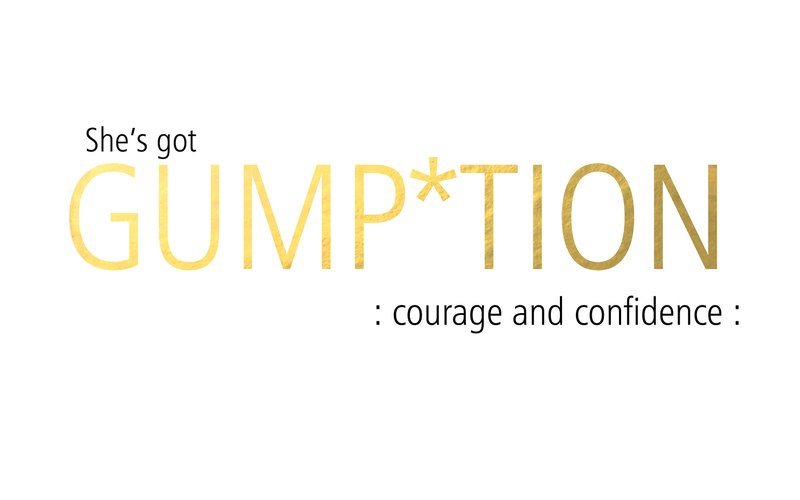 Inspired by Hilary, I decided to look up the official definition of gumption (because I’m a word nerd), and I was delighted to discover it is defined as courage and confidence. Because I’m seeking to live my days courageously confident in His plan and who He created me to be (and because I just learned how to create gold foil text in Photoshop!! ), I couldn’t resist designing a little inspired desktop to share with you all. As we begin the month of December, our final month of 2013, let’s be courageous and confident in Him. Let’s be full of grace and gumption, and let’s make lots of space for God to move. Many years ago, when I was newly blogging and newly walking with the Lord, I read Lauren F. Winner’s book Girl Meets God. I especially loved the chapter about belief, titled Credo. There’s a section of that chapter where Winner quotes a passage from Diana Eck’s Encountering God, explaining that the Latin credo literally means I give my heart. I was so moved by the idea that belief is heart language. All those years ago, I wrote these words about it: I love the idea that belief is heart language, that when you truly commit to a relationship with God, your faith is rooted in a love so strong that you give your heart to it. Friends, as we begin this 31 day journey about big belief, let’s check our hearts. Let’s search them for areas of unbelief that we can uncover and surrender to Him, as we take this journey together. Today, I’m going to spend time in my journal listing out the areas in my heart where I cling to lies and unbelief. I encourage you to do the same. With His guidance, we’ll tackle those unbeliefs together in the days ahead. There is a season for wildness and a season for settledness, and this is neither. This season is about becoming. Just a happy little reminder to start out your week. I really, really love the idea of getting back to basics with blogging — writing from the heart because you LOVE to write. Enjoying the process of putting words and phrases together and really telling a story. I wish I could participate this month, but with the eBook writing, I just can’t commit to a challenge like this. It’s for sure something I’d like to do in the future, though. And I might try and respond to a few of her prompts here and there, because sometimes, responding to prompts can free us from writer’s block and really encourage our creativity to bloom again. Perhaps, once the eBook is published, I’ll create my own challenge. **And speaking of the eBook, I’m working on the next post in the Creating an eBook series, so look for that soon (maybe this weekend?). Happy Friday, friends! It’s a beautiful spring morning, and I can’t wait to embrace all that’s in store for this day. I’m excited to begin my Calling All Dreamers series with this post by the lovely and inspiring Heather Boersma. Many thanks to Heather for sharing her heart here! I began writing my first devotional book in eighth grade. It was a time in life when I was totally alienated from my social circles, both at school and surprisingly, at church. My peer groups offered me nothing but rejection, and I was left with a choice; either feel sorry for myself, or use this time to really get to know the Jesus I’d decided to follow so many years before. I chose Jesus. Each and every day, I sat on the floor beside my bed reading my bible and writing in my prayer journal. I went through dozens of devotional books and found the Word came alive in a way it never had before. And as the Lord spoke to me, I felt led to share with others what He was revealing. So I began to write. As the awkward Jr. High years passed and I gained new confidence in who God had created me to be, this passion only grew. Instead of being a reject, I became known as someone who was strong in their faith. People came to me for advice on matters of faith and with their prayer requests. I had been given a message and felt a burning passion to share it with the world. More than 10 years later, my second attempt at the devotional book began. An outline was created and the guts of it started to fill out that skeletal plan, bringing my dream to life. But several months after starting, my computer crashed taking all my hard work with it. Strike two. So when the Lord began to nudge me in this direction for a third time, I’ll be honest, I hesitated. But after months of ignoring the multiple confirmations He sent my way, I relented and decided to obey. This is when the idea for “Dream Big” was born. The next several months were spent researching, planning, and writing a book proposal. In the summer of 2010, I began writing the book. A year later, and just days before my child (a son!) was born, the first draft of my manuscript was completed. Eight months after that, and two years from when I first said “yes” to God, a proof copy of my book came in the mail. What an amazing journey it has been! Write a book proposal. In the process of writing a proposal, you will be forced to define WHY you want to write a book. Is it purely for personal gain or do you really have something to offer your reader? If you can’t get through the process of writing a book proposal (and it is a lengthy process, when done correctly), there’s little chance you’ll actually have the stamina and passion to get through writing an entire book! I used the book “How to Write a Book Proposal” by Michael Larsen as my guide. Set aside blocks of time to write. The unfortunate news is less than 1% of book proposals that go across a publishers desk are accepted. This means you probably won’t have a publisher breathing down your neck to complete your manuscript by a certain deadline. This means you need to breathe down your own neck (hmmm, tricky) and be self-disciplined. So set aside a block of time each day, week, or month for writing. I wrote nearly one third of my book during a two-day writing retreat. I went to the cabin by myself and did nothing but eat, sleep, and write for two days straight. Figure out what works for your life, and then JUST DO IT! Pray for DIVINE INSPIRATION. This is the last step, but the MOST important of them all. Here’s the thing — if you’re not writing empowered by the Holy Spirit and divine revelation from God, then what is the point? I’m sure we all want to write something that has eternal value. Something that will allow our readers to experience the Spirit of God ministering directly to their spirits. In order for this to happen, we need to be diligent and faithful in our own relationship with God and continue to allow Him to speak to us and inspire our words. I hope you find these tips helpful as you go on your own journey of writing, whether it be a book, an online course, or even a blog! I’d love to hear from you if you have any other questions about writing a book, or about my book “Dream Big: 30 Days to a Life Beyond All You could Ask or Imagine”. Also, follow this link to watch the book trailer and get a little taste of who I am and what my book is all about!